1BD/1BA Barclay Tower’s Condo in the heart of Denver’s LoDo Neighborhood. This 716 Square Foot, 7th Floor condo features: a King Size Bed in Master Bedroom and a sleeper sofa in the living room; Desk Space with High-Speed Internet; and Spectacular city and mountain views. The kitchen has stainless steel appliances and has been recently remodeled. The Barclay Towers has 32 Floors and is located right on the 16th street with access to all restaurants, bars, shopping, entertainment, the free mall ride, and blocks away from the nearest light rail station. The building has secure entry and a 24 hour security desk. The top floor hosts an outdoor pool and sundeck, fitness center, resident’s lounge, laundry facilities, a jacuzzi, steam room, and sauna. 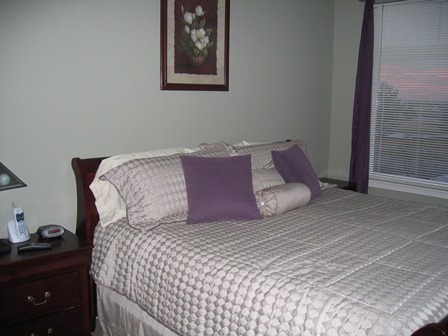 To view more photos, maps, and information about this lovely high-rise condo, please click here. 1BD/1BA Condo in Downtown Denver High-Rise. This 3rd Floor, 802 Square foot property features: northern facing exposure; a queen bed with a flat screen TV in the bedroom and another flat screen in the living room. The building features 24-Hour secured entrance and has a security desk round the clock. It also has a pool and sundeck on the 3rd floor, a billiards room, a fitness center, laundry facilities, and a sauna (all on the same floor as the unit). 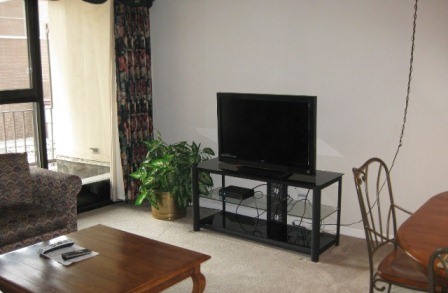 To view more photos, maps, and information about this condo, please click here. 1BD/2BA + Office Condo in Louisville/Broomfield. This 1200 Square Foot Centennial Pavilion Loft Condo is spacious and Open With 10′ Ceilings, this Modern Space Has Hardwood Floors, Fireplace, and Upgraded Features Such as a Beautiful Glass and Wood Sliding Door. 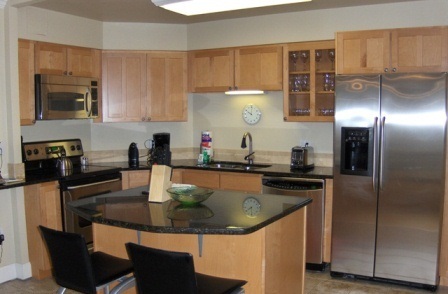 The kitchen has GE stainless steel appliances, Granite Counters, and Maple Cabinets. The unit comes with 2 heated underground Parking Spaces; a Washer/Dryer in Unit; a King Size Bed in Master Bedroom; Secure Access; a Balcony; and a Large Flat Screen TV in Living Room. The Lofts Overlook the Rocky Mountains’ Majestic Front Range Offering an Unparalleled Urban Living Experience. Centennial Pavilion Residents will Enjoy an Unsurpassed Level of Retail and Commercial Services in the Neighboring Shopping Centers: Fitness Center, Doggie Day Care, Dry Cleaner, Restaurants, Banks, Offices, and much, much more only a Few Steps From your Front Door! To view more photos, maps, and information please click here. 3BD/2.5BA Highlands Ranch Town Home w/ Attached 2 Car Garage. This 1808 square foot tri-level town home features: a Kitchen with brand new stainless steel appliances, a dining area and bar with bar chairs; Large Flat Screen Plasma in Living Room; Brand new Cherry Dining Room Table-Seats 6; King-Size Bed in Master with 32 inch television, walk-in closet and Master Bath with Separate Shower and Jetted Tub; Full Bed in 2nd bedroom with television; and 2 twin Beds in 3rd Bedroom. 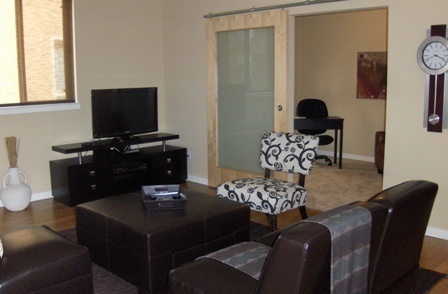 The unit is located within the gated community which has a 24-hour gate attendant. To view more photos, maps, and information about this gorgeous town home, please click here. To view all the amazing fully furnished condos, lofts, town homes, and houses that AvenueWest Denver has to offer please visit us at http://Denver. AvenueWest.com or give us a call directly at 303-825-0000.